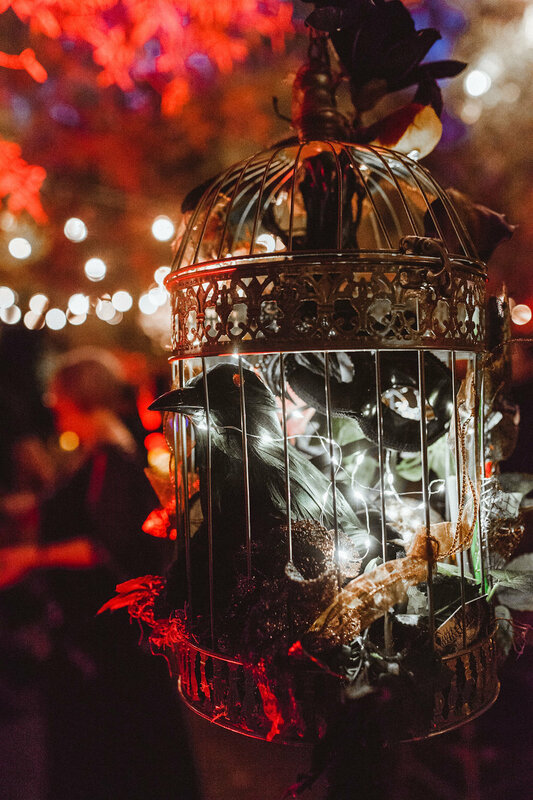 Just in time for Halloween, Kim Ebeling of Ebeling Events shared with us this amazing Halloween-esque / Tim Burton’s Alice in Wonderland inspired wedding. 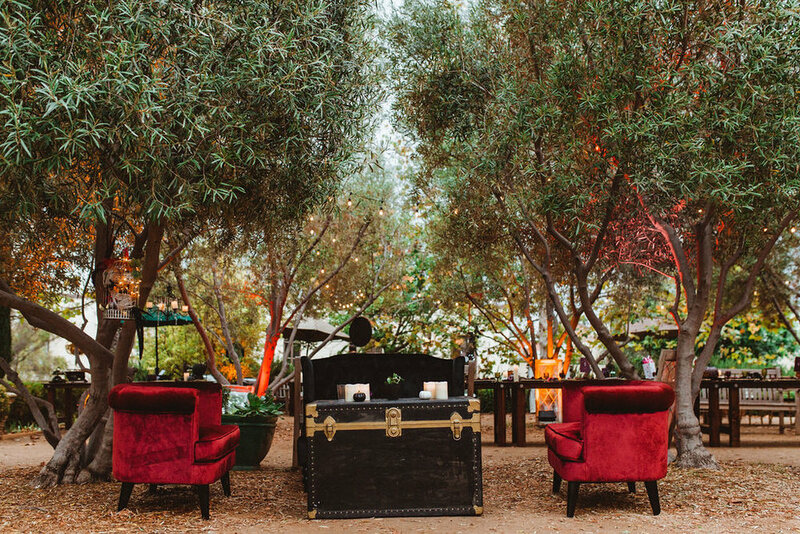 Kim worked closely with the bride to bring to life the style the bride envisioned when she decided to have an outdoor garden wedding. 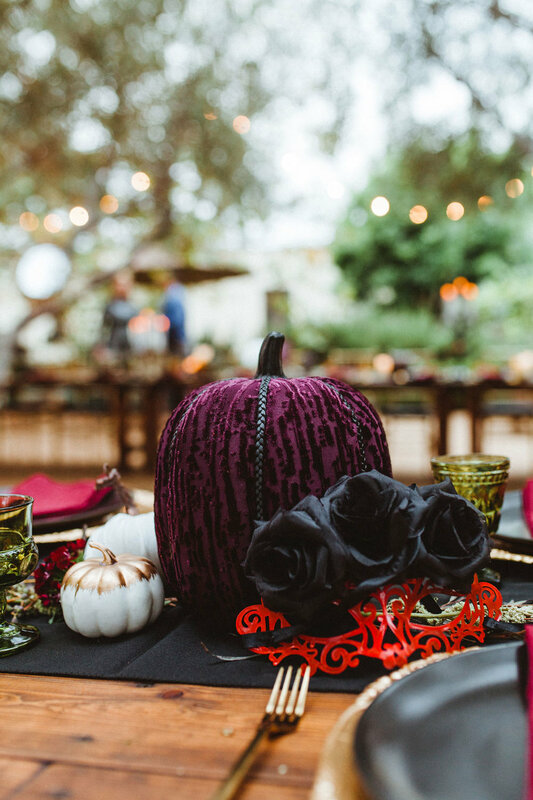 When the couple toured Arlington Garden in Pasadena, they were really excited about having their reception with an Enchanted Garden vibe while paying homage to their favorite holiday, Halloween. 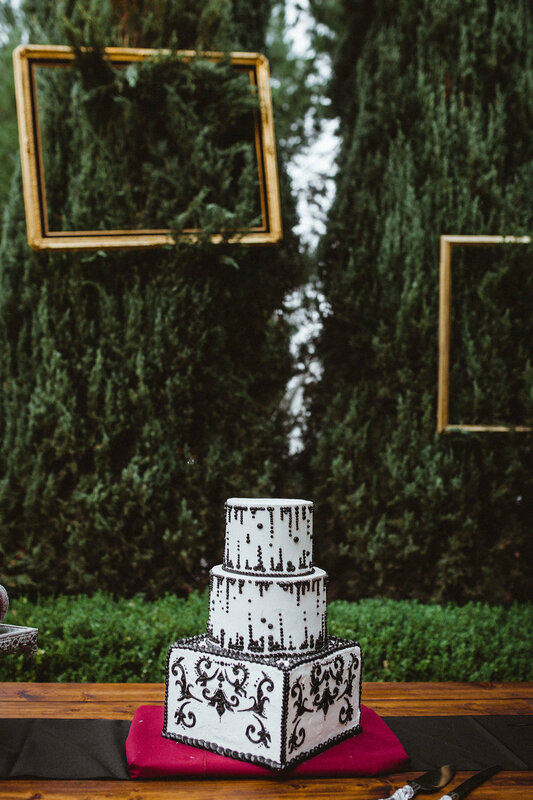 So they went to work alongside one of the bride’s good friends designing each detail. 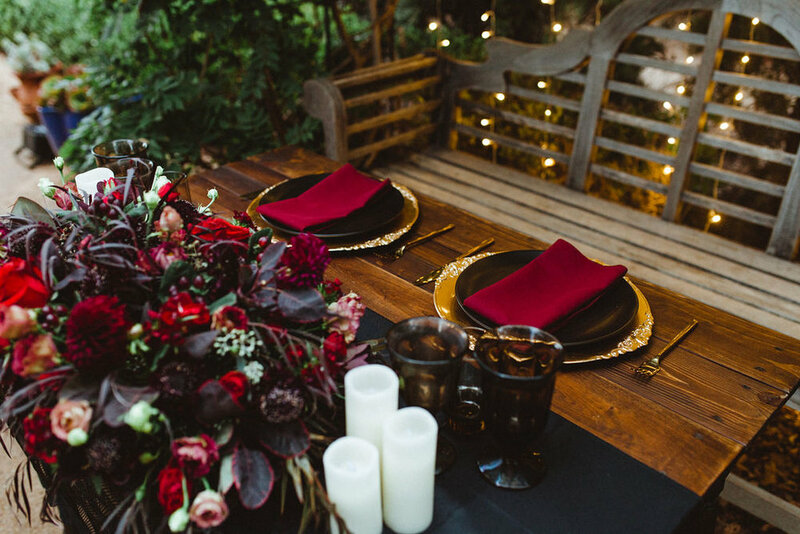 The colors were dark and intriguing: burgundy / wine, gold, and black. 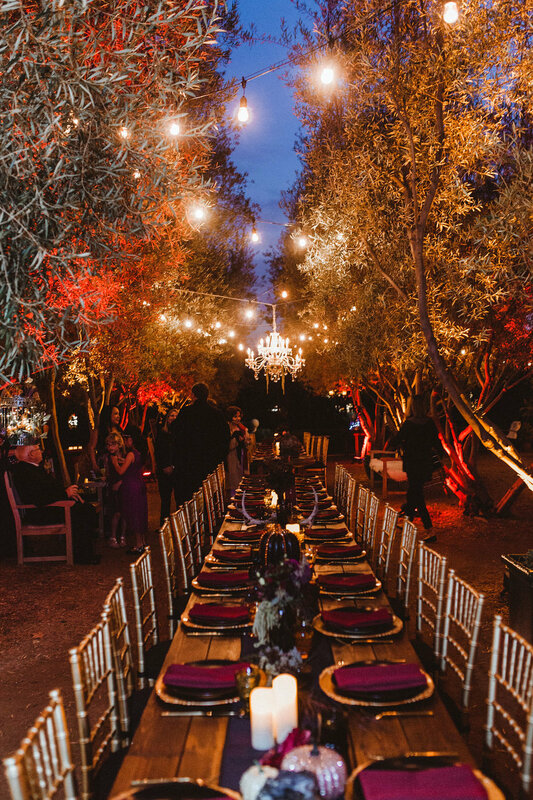 Kim worked with each vendor to curate a team that could execute each dimension of the event flawlessly. It rained the night before and morning of the wedding. The vendors rallied and when the rain stopped, they got to work. Although the clouds never parted, it actually added to the ambiance and the result was stunning! Photos by Hieusz Photography. Scroll to the bottom to see a full list of vendors.